Pastor Craig Coulter has been Senior Pastor at OVCN since 2001. He has been a pastor for nearly 30 years in Kansas, Texas and here in Oro Valley. Craig has the gift of connecting through communication. His sermons are filled with biblical truth, real life application and personal stories of struggle and triumph. Emotion and humor are consistently woven into each sermon. Pastor Craig usually preaches through 8-10 sermon series a year with emphasis on building a life of holiness in our day-to-day lives. 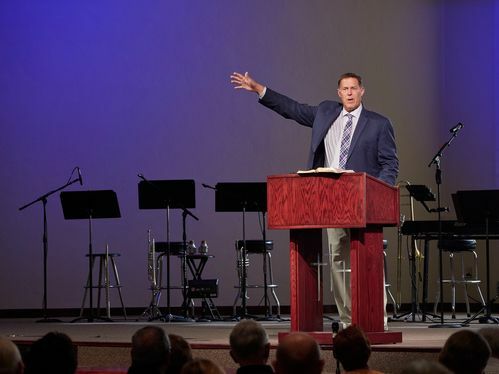 Pastor Chris Collins became Executive Pastor at OVCN in 2018. He has served in a part-time role at OVCN since 2013. 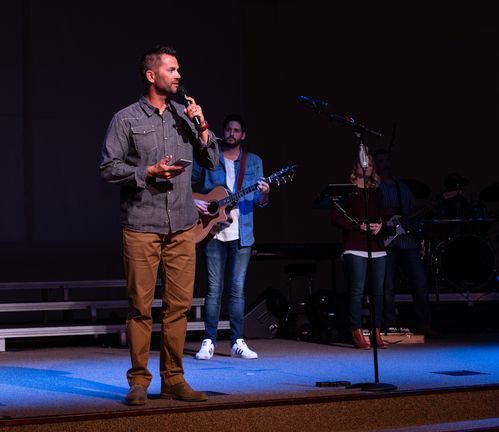 Pastor Chris’s primary role is staff and ministry development, vision and ministry alignment, special projects and preaching 10-12 times a year. His sermons often peel back the layers of truth found in a passage or story, and makes them applicable to the everyday person pursuing a relationship with Jesus. He is a passionate and gifted communicator. Click below to view our YouTube channel for our latest videos.